Ragdoll cat and kittens in Austin, Texas. Ragdoll cats make the perfect companions and love being around people and other pets, including dogs. 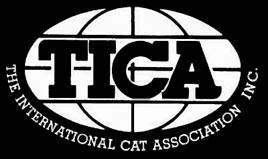 The Ragdoll breed of cats was first developed in the late 1960's by a breeder named Ann Baker in California. The Ragdoll cats are best known for being affectionate with a calm, docile temperament. They are known for being "dog-like" because they will follow you around the house and love being around their human companions. Some Ragdoll cats have been trained to fetch and walk with a leash. 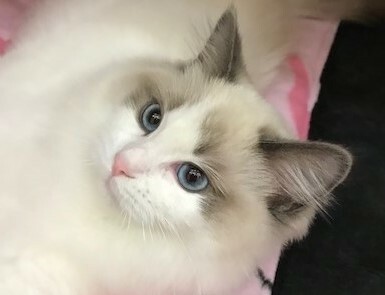 The traditional Ragdoll cats have blue eyes with a colorpoint coat. The coat colors can be seal, blue, chocolate, lilac, red or cream. The coloring comes in slowly and takes three to four years to fully develop. The patterns can be colorpoint, mitted or bicolor. In addition, Ragdoll cats can have lynx, tortie and torbie (with lynx) markings. Ragdolls are one of the largest domesticated cats breeds. Full-grown females can weigh between 8 and 15 pounds with full-grown males weighing 12 to 20 pounds. Ragdolls have soft, long coats and lack an undercoat. There is a common misconception that they don't shed but that is not true. Ragdolls do shed but not as intense as other cat breeds that have an undercoat. Bee Cave Ragdolls is proud to continue sharing this wonderful breed of cats with others. due to their affectionate personalities & beauty.